Now is the time to start thinking about your day out to this year’s Country Show 12noon to 8pm over the weekend 21st & 22nd July at Brockwell Park SE24 . Bring friends & family too. The Main stage & Village Green host a wide range of musicians– something for everyone. And there are numerous other activities , entertainments, animals, food & drink and of course show piece entertainments at the Arena. The Country Show changes a bit ever year. This year safety measures include searches at the 2 entry points (Herne Hill & Lido) so the show area has to be fenced within the park. Come early to avoid queues. Last entry 6.30pm. Entry remains free and unticketed. To get to the Country Show please walk, cycle or travel by public transport ( 68 or 196 bus from West Norwood) . The only parking is for Blue Badge holders who apply in advance. 4ALL’s popular annual Community Autumn Fair is this Saturday 17th September 2pm to 5pm at All Saints Church Lovelace Road SE21 8JY. Crafts, artists, refreshments, music, local groups. All welcome. 4ALL’s annual Community Autumn Fair is now an important part of the West Dulwich and wider Norwood calendar and a great opportunity for specialist businesses – crafts, foods, etc – to talk about and sell their products to people from every part of the community. The proceeds support 4ALL’s community activities : two after-school clubs for young people living on local estates and a community choir and exercise class for older people. 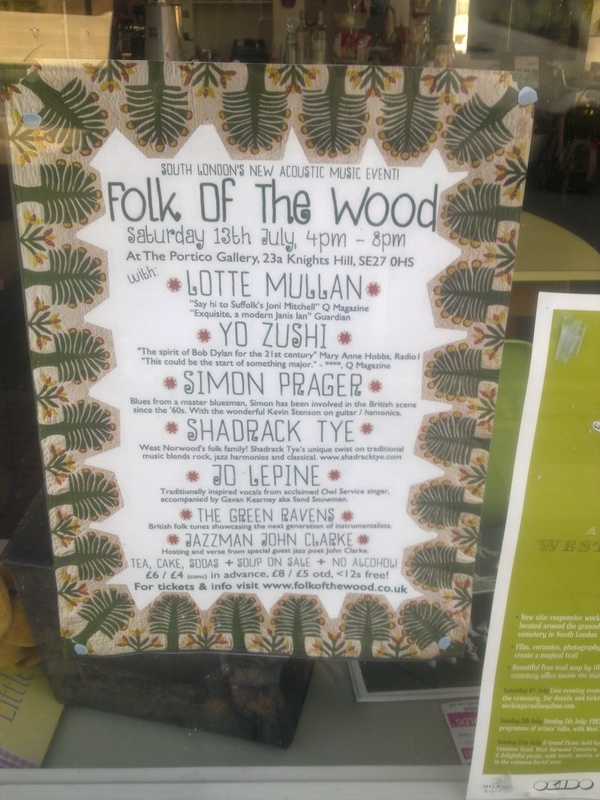 South London’s newest acoustic music venue launches on Saturday 13th July 4pm to 8pm with Lotte Mullan , Yo Zushi, Simon Prager , Shadrack Tye, Jo Lepine, The Green Ravens and Jazzman John Clarke playing at Portico Gallery 23a Knights Hill SE27 0HS. Tickets £8. Councillors gave planning permission for a new pub at 13-17 Knights hill – to be called Knowles of Norwood, which is the original shop name and still incorporated into the tiles of the entrance. 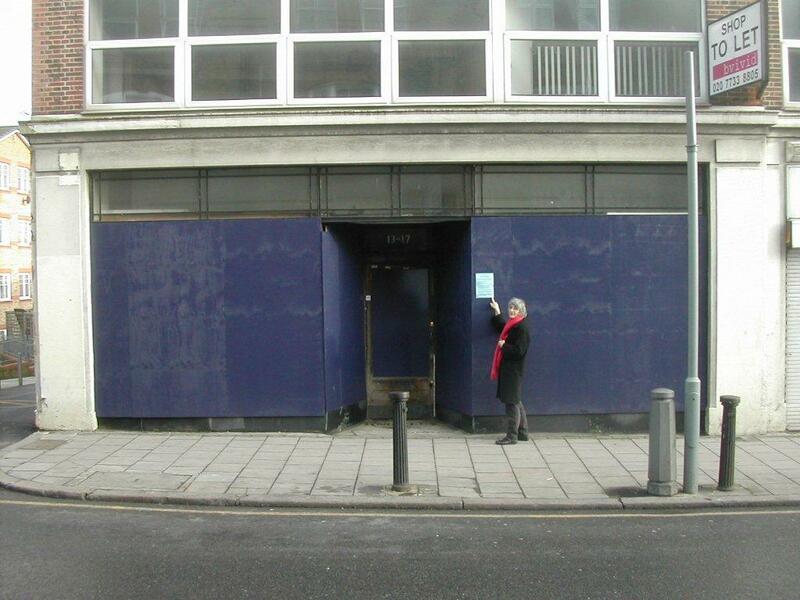 The owners need to get a licence specifying the hours they can sell alcohol & have music etc. To see details of the licence application check out the council’s web page. Southern Pride is re-opening as Scandals club and councillors will decide on the details of their alcohol and entertainment licence at a meeting on Tuesday 19th January at 7pm in the Town Hall in Brixton.